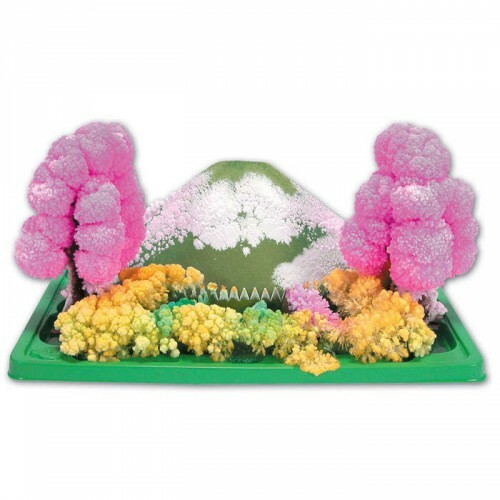 This kids crystal garden growing kit will decorate your room with flowers, trees and mountains. Welcome to the magical Japanese garden! 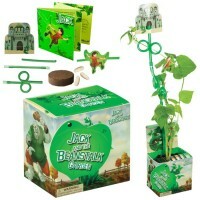 Mystical Garden Crystal Growing Kit will decorate your room with flowers, trees and mountains. 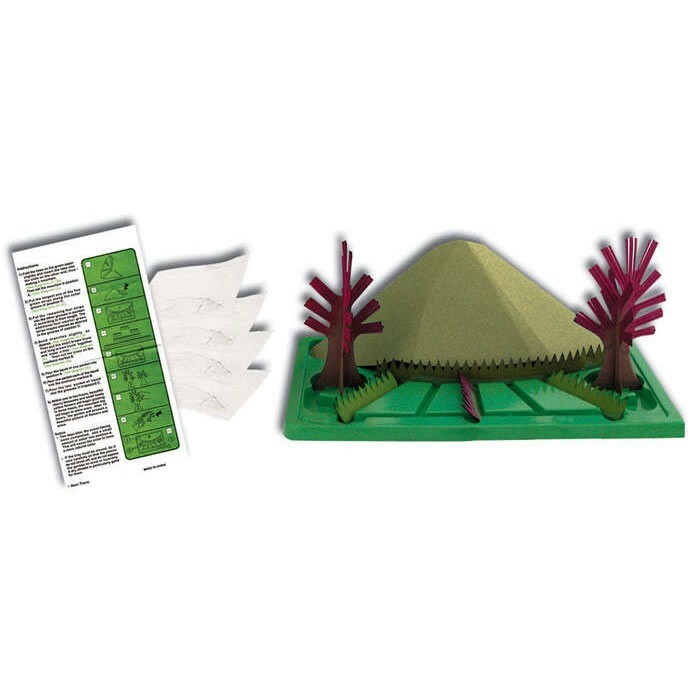 All you have to do is place specially treated paper cut-outs of a mountain, trees and grass into an enclosed tray, and then pour the magic liquid. Just in a few hours your Magic Garden will begin to bloom with pink flowers, snow will cover the top of the mountain, and grass will look fresh green. In 10 hours it will fully grow! 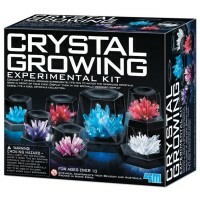 This mini science kit includes everything you need to grow an amazing crystal garden. 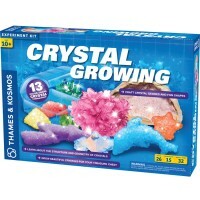 Mystical Garden Crystal Growing Kit from Educational Toys Planet will last for days if you keep it still. 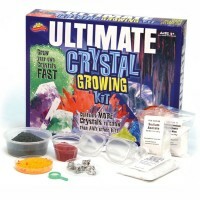 This wonderful crystal craft kit will entertain children and adults. 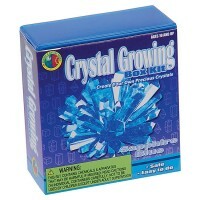 This crystal growing kit for kids is a truly unique party favor or small gift. Non- toxic. 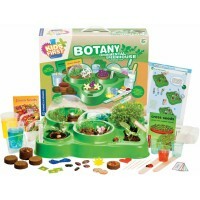 Write your own review of Mystical Garden Crystal Growing Kit. 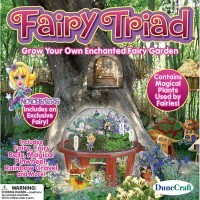 Rating: 5 by Gary, CT It was amazing for children and adults how the garden grew in an hour or so. It looked so beautiful! 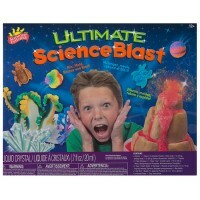 The only advice: don't move it after you pour the chemical inside it. It's fragile when gets dry. Thank you for this unique experimental kit. 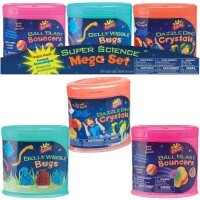 Rating: 5 by Marilyn V., NJ I bought these sets as party favors for 8 year old party. 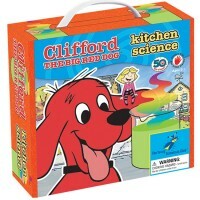 All kids loved them! I got so many special thanks from the parents. Rating: 5 by Esther, NJ Bought for kids as a goody bag for Harry Potter birthday party. Everyone was excited to make it. Rating: 5 by svetlana, NJ Perfect. Rating: 4 by Giya, TN Nice set. Good value. Rating: 3 by Loretta E., SC Difficult to get paper shapes to stay in place. Once crystals grow, falls apart too easily. Was beautiful for about a day.